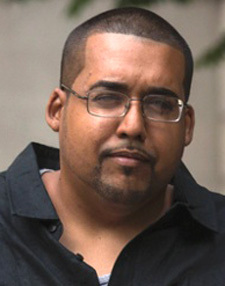 While serving seven months in the Metropolitan Correctional Center in lower Manhattan in 2012, hacker-turned-informant Hector “Sabu” Monsegur “created and taught a five-week Computing Essentials course designed to introduce other inmates to the “digital tools needed to analyze, synthesize and evaluate information,” according to the convicted felon’s lawyer. Monsegur, who began cooperating with the FBI following his June 2011 arrest, was locked up in the MCC after making a series of online posts that were not authorized by his government handlers (the nature of those posts has not been further described in U.S. District Court filings). Students at Sabu U received a syllabus describing the five-hour course, and they were required to complete a “pre/post test” that apparently helped Professor Monsegur (seen above) gauge the depth of their knowledge prior to the start of the five-week course. The syllabus and test were included in a sentencing submission by Monsegur’s lawyer, who noted that her client “tried to make the most of his time” in federal custody.